This classroom observation study explored how science teachers (N = 22) teach for creativity in grades 5–10 in Oman. We designed an observation form with 4 main categories that targeted the instructional practices related to teaching for creativity: questioning strategy, teacher’s responses to students’ ideas, classroom activities to support creativity, and whole-lesson methods that foster creativity. An open-ended survey was also designed to explore participants’ justifications for their instructional decisions and practices. The findings indicate that the overall level of teaching for creativity was low and that participants’ performance was the highest for teacher’s responses to students’ ideas category and the lowest for classroom activities to support creativity category. We observed that a teacher-centered approach with instructional practices geared toward preparing students for examinations was dominant and that these science teachers were bound to the textbook, following cookbook-style activities. Participants believed that they did not have enough time to cover the content and teach for creativity and that they were not prepared to teach for creativity. Based on these findings, we recommend that programs be developed to prepare science teachers to teach for creativity. The authors would like to express their sincere appreciation to Dr. Larry Yore for his valuable academic editorial editing and to Shari Yore for her technical editing as part of a special editorial assistance coordinated by IJSME. Al-Balushi, S. M. (2009). Factors influencing pre-service science teachers' imagination at the microscopic level in chemistry. International Journal of Science and Mathematics Education, 7(6), 1089–1110. doi: 10.1007/s10763-009-9155-1. Belova, N., Eilks, I. & Feierabend, T. (2013). The evaluation of role-playing in the context of teaching climate change. 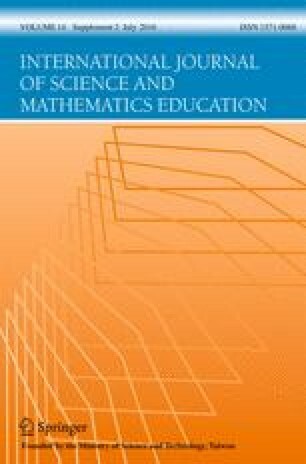 International Journal of Science and Mathematics Education, 13(1 Supplement), 165–190. doi: 10.1007/s10763-013-9477-x. Choi, A., Klein, V. & Hershberger, S. (2014). Success, difficulty, and instructional strategy to enact an argument-based inquiry approach: Experiences of elementary teachers. International Journal of Science and Mathematics Education. doi: 10.1007/s10763-014-9525-1. Kukliansky, I., Shosberger, I. & Eshach, H. (2014). Science teachers’ voice on homework: Beliefs, attitudes, and behaviors. International Journal of Science and Mathematics Education. doi: 10.1007/s10763-014-9555-8.